Montclair is a town that inspires a lot of loyalty as the “urban suburb,” or, as New York Magazine called it, “a cultural oasis” in the suburbs. There is a diverse population of more than 35,000 people, a variety of restaurants, movie theaters, and frequent cultural events. 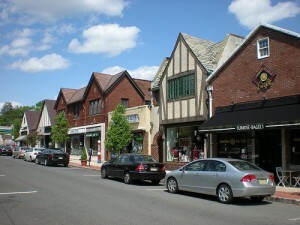 Montclair is home to, not one, but five shopping districts. Yet, much of the town feels like a suburb with beautiful tree-lined streets and private homes. Montclair’s urban-like feel attracts many writers, creatives, and professionals who want to raise their families with easy accessibility to jobs in the city. The town also appeals to people, like myself, who appreciate mature trees, parks, gardens, and a varied stock of older homes. Historic homes in Montclair range from $400,000 to $4,000,000, from ornate Victorians to clean-lined craftsman Colonials.